The unofficial theme of this year’s Tokyo Auto Show is performance. Honda is one of the event’s headlining acts, as always, and it brought a brand-new concept car that puts a modern spin on its storied past. 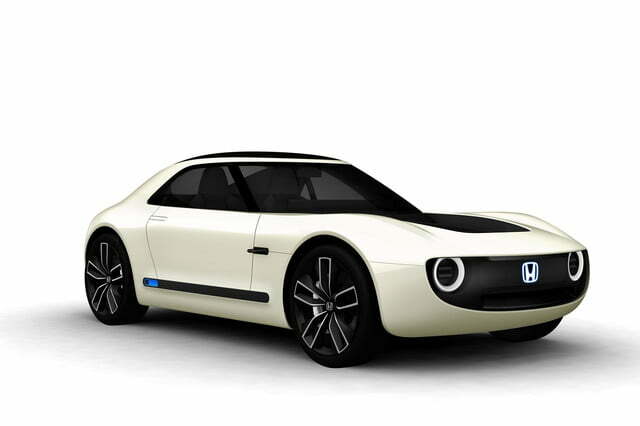 The Honda Sports EV Concept takes the form of a coupe with a sleek, fastback-like roofline, pronounced haunches, and small taillights. To us, it looks a lot like the pocket-sized S600 and S800 coupes built in the 1960s. Honda has typically refrained from building retro-inspired cars, but the Tokyo concept suggests it’s finally ready to flaunt its heritage in order to lure buyers into showrooms. The design study was developed around performance, an area Honda has been eagerly revisiting over the past couple of years, and it’s powered by an all-electric drivetrain. The brand hasn’t released technical specifications like the output of the motor and the size of the battery pack, so we don’t know how fast it can go or how long it can drive on a single charge. The Sports EV Concept is a follow-up to the Urban EV Concept introduced last month at the Frankfurt Auto Show. The timing of both debuts suggests the two cars share at least a handful of components. They could use the same electric motor and battery pack, and they could even ride on the same platform. But while we know the Urban EV will spawn a production model in Europe in about 2019, Honda hasn’t announced production plans for the Sports EV yet. We wouldn’t rule it out; it would fit right in with its plans to offer attractive electric cars and more sports cars. 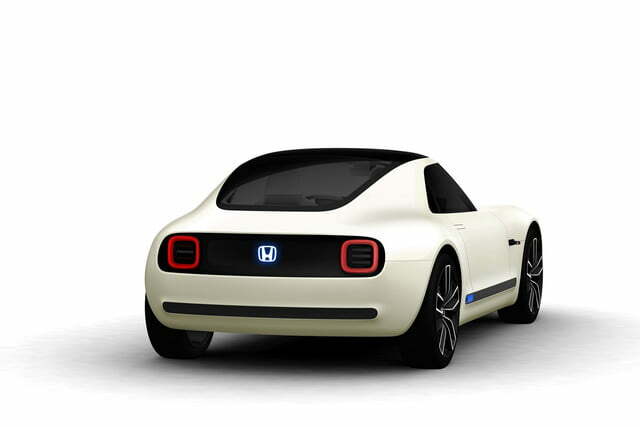 The Sports EV is markedly smaller than the Mazda Miata MX-5, according to CNET, so Honda can’t chop off the coupe’s roof and turn the concept into the S2000 successor enthusiasts have been waiting for since production of the original model ended. 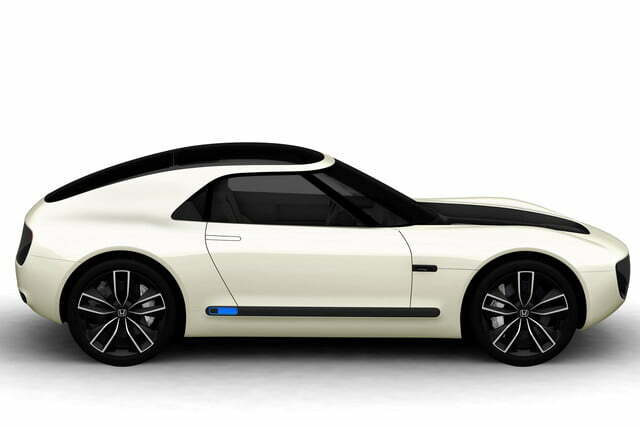 If approved for production, the Sports EV — a name that most likely won’t be retained — will slot near the bottom of Honda’s sports car lineup, just a notch above the mid-engined S660. So even if IT becomes a production model, it might not make landfall in the United States due to its restrained dimensions.